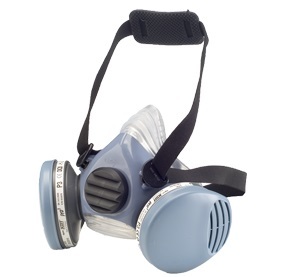 The Profile60 is a twin filter premium half mask. The facepiece is moulded in Liquid Silicone Rubber (LSR), combining the comfort and flexibilty of silicone with durability and a long service life. Profile60 accepts the Pro² range of cartridge filters, which have individual covers to maximise working life by protecting the filter media from splashes, sparks and contaminant.